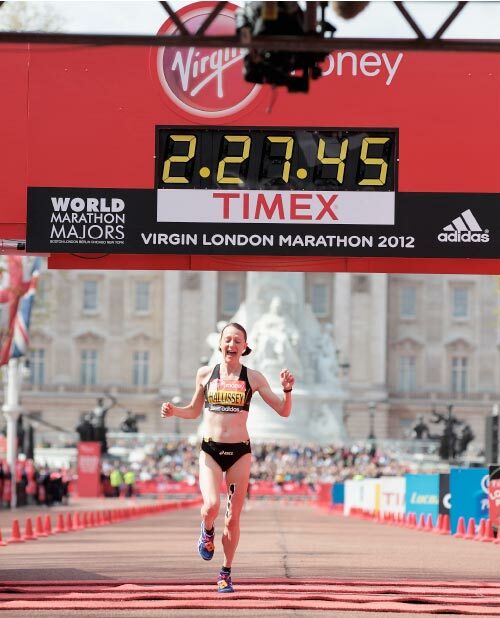 The 2014 London Marathon is fast approaching so those of you taking part should be well underway with your training regimes. As a long distance runner I know that training for a marathon is no mean feat! It’s incredibly intense and pushes your body to the limit. Here are my top tips to help you improve your regime and avoid those pesky training injuries. Introduce some variety into your training! There’s nothing more tedious than running miles and miles every day and I find that a lot of training programs recommend more miles per week than are really necessary. Drop 1 or 2 easy/recovery runs and do something different – mix it up and different physical challenges into your training program. Easy miles aren’t achieving a lot in terms of having a training effect on your body, the extra variety helps reduce your chance of overuse injuries, it also leaves you fresh to train with more intensity and effort when you do run. Whichever way you cut it running to your maximum potential has got a lot to do with how strong your legs are. Running will train your legs to have good endurance but won’t necessarily improve your actual power and top end strength. Try a couple of 30-40 minute strength sessions including some body weight exercises – bridging, squatting, lunging, and hopping are all ideal. Whatever exercises you choose, push yourself and do them to the point where you can barely complete the last few reps. You’ll fine this really maximises the bang you get for your buck. You’ll be pleasantly surprised by difference it makes to your pace! By rotating between 2 or 3 different pairs of running shoes you’re likely to cut your chance of picking up injuries. Each pair of shoes will subtly alter the way you run and therefore the tissue you load. This variety can really help reduce the chances of getting overuse injuries. Consider using lightweight and low drop shoes for short quick runs and adding a little more cushioning on longer runs. Plus it’s a great excuse for a little retail therapy! I will refrain from plunging into gait advice other than to say humans come in all shapes and sizes so the optimal way to run varies from person to person. However, almost every expert in the field will agree that landing heavily on the heel with the leg way in front of the hips is a great way to wind up on the physios couch. Don’t think too much about exactly which bit of the foot hits the ground first. Instead focus on trying to contact the ground just in front of, or directly under, the hips. This naturally leads to a less severe heel strike and a higher cadence, both useful in cutting injury risk. Pain does not just equal tissue damage. Rather it is your body’s way of telling you that it feels threat, it’s saying if you carry on the way you’re going then something is going to get properly hurt; the human body comes with a highly evolved early warning system. Don’t ignore it. If you feel pain, reduce your training intensity, get some ice on it and take some positive action like using kinesiology tape, such as ROCKTAPE to manage the niggles.